In Episode 29 of the Improve Photography Podcast, Jim and Dustin answer listener questions about cleaning the camera sensor, camera batteries in cold weather shoots, tips for beginning Photoshop users, and more. [0:30] How do you clean the camera's sensor? Here in the office we use PEC-PADs. These are dry, lint free pads that you can run across your sensor to wipe it clean. We usually use the blower first, because if you can blow it off, it's better not to touch the sensor. But if the blower isn't enough, then use one of these little guys and you can wipe it clean. We like that these are disposable because you know they are always lint-free and clean right out of the bag. Those lint-free reusable microfiber cloths? Not exactly so “lint free” – sure, they won't attract lint, but they don't repel it either! So if it's sitting around in your bag, it is going to gather lint. Oh – and don't use liquid on your sensor when you clean it. The PEC-PADs will do a fine job without it. How do you tell if your sensor is dirty and needs to be cleaned? Take a picture of a completely blue sky. If you have spots in your photo, it's time to clean that sensor. Don't waste your money taking it to a professional cleaning lab when you can spend $10 and have enough PEC-PADs to last a long time! [3:40] When I shoot in cold weather, my battery gets cold and doesn't last for more than a few shots. Also, can you recommend any good gloves for shooting in cold weather? Both Jim and Dustin prefer fingerless gloves, because that way you can still adjust the buttons on your camera without having to use tiny, thin gloves (which won't really keep your hands warm anyway). Get some neoprene fingerless gloves that turn in to mittens so you can keep your fingers warm when you don't need them but you don't have to take the gloves completely off to make camera adjustments. When you shoot in the cold, you'll need to have more than one battery – your batteries will drain really quickly in the cold weather. A great suggestion is to have two charged batteries on the shoot, and then keep a pocket warmer so you can swap batteries and put the cold battery next to the warmer to warm it up. [8:19] When I put my compact camera in landscape mode, why doesn't it use a high aperture? When you take a landscape photo, you want to have full depth of field. Naturally you would assume that this means the camera needs to be using a high aperture (that's what you'd do with your DSLR to get everything in focus). However, compact cameras are using really small sensors compared to the sensors in DSLRs. Most compact cameras since December 2010 are using the 1/2.3″ sensors (that's really small!). If you use one of those cameras at f/4 at 15mm, that's the exact same depth of field you would get using f/22.6 on a DSLR. You don't need to use a very high aperture on a compact camera and you'll still get full depth of field from front to back. Your compact camera uses a low aperture so you can gather a lot of light without needing a long shutter speed. [10:23] I'm working on writing a business plan and wondering what I should plan for legally. Remember: Jim and Dustin are not your lawyers. Even though Jim did go to law school, you still need to find a lawyer in your jurisdiction to give you legal advice. We can give you legal information from a teaching perspective, but remember that it's important that you contact a lawyer. The first thing you want to look at is asset protection. Create an entity for your business (like an LLC or S-corp), and then you have to actually act like a business. Don't co-mingle your personal and business funds. The best resource for you is the small business association. Get a competent CPA or accountant because they can save you a lot of time and headaches. Next is insurance. You want this for a lot of reasons – you have some heavy equipment, some cords/cables people could trip on, etc. You want to be covered. Don't accept money or work for anyone without a signed contract. It's always best if you can have an attorney look over your contract, but at the very least make sure you have spelled out all the things you can imagine could go wrong. Make sure you sign and date it, and have the customer sign and date it as well. Cover a few things for sure: Data storage is a big one. Explain to your customer in the contract what your procedure is, and then make sure that you specify that after 30 days, you have no responsibility for the photos. Make sure you have a property release for anything you shoot (products, food, etc). [17:26] I do nature photography (birds, insects, frogs, etc). Sometimes I'm in the shade and my subject is in the light or vice versa. How do I make sure I get the best results each time? Try to cut out any hard lines of light/shadow that you can. Zoom in to make sure you get as little of that as possible, then take the shot to expose properly for whatever lighting you are focusing on. The whole principle of shooting in natural light is to get to neutral lighting; once you've done that, then you can work on dressing it up to make it more interesting. [19:40] Are there any basic actions or techniques you would suggest for beginning Photoshop users? A basic but vitally important thing to understand about Photoshop is the concept of layers. Everything happens in layers (if you're doing it right!). Imagine that you're painting, and you have 10 canvases laid one on top of the other. You can choose which canvas you want to work on, and you can only work on one at a time. But then you can decide what to look at from each canvas to make your final product. An awesome technique to be aware of is Adjustment Layers. Adjustment Layers allow you to apply all the different effects to your image one layer at a time. This means for each canvas, you can apply different effects and acheive different results. You get a lot of flexibility with these. It is important for photographers learning Photoshop to first learn how the workflow goes. First, your photo goes into Camera Raw where you make your basic edits. Then it goes into Photoshop where you can do the more in-depth editing. Finally, you will export it as a JPEG (or whatever file format you want). [23:01] Should I just buy a bunch of memory cards or bring my laptop when I'm going on vacation? Jim and Dustin both suggest taking a few memory cards with you on the trip. It's a good idea to get the biggest memory card you can afford, because the more you can put on it the less chance you will have of taking it out of the camera and leaving (or losing) it somewhere. If you can leave your card in the camera, then you can pretty safely say the pictures will make it home with you. However, if you bring the computer you can do some post-processing while you're on the trip. If you're like Jim and that's one of the parts of photography that you think is a lot of fun, then this might be something you want to do. Just remember to put the memory card back in the camera before you go out… Otherwise you'll get to your next destination and your memory card will still be back at the hotel, in your computer! What is mirror lockup? When you take a picture, your mirror flips up and then back down. And that tiny bit of movement can theoretically cause some vibration which can result in some loss of sharpness. Are you always hearing people say “for that extra bit of sharpness, use mirror lockup”? Well, Jim hears about it all the time but has never seen it do anything for his photos. So this week he decided he was going to put it to the test and do 100 shots, with all different lenses, cameras, and settings. Jim didn't find any difference with mirror lockup as long as you're using a solid tripod and ballhead. You can see Jim's article with full results here. Jim's doodad of the week is artisanhd.com – here you can get photo to plexiglass printing, just like Peter Lik does with his photography. It is incredible, and so beautiful! Dustin's pick of the week is the Adobe Kuler app for the iPhone. (SwatchMatic for the Android is pretty similar, though not by Adobe.) This app picks a color scheme from your photo and saves it so you can come back and adjust it or use it later. Pretty sweet for graphic designers especially. For iPhone/iPad/iPod listeners – Grab your phone or device and go to the iTunes store and search “Improve Photography Podcast.” This will help you to download the free Podcasts App (produced by Apple) and then subscribe to the show from within that app. Every time I produce a new episode, you'll get it downloaded right on your iDevice. For those who don't have a mobile device – You can always listen to the show by clicking the audio file at the top of this episode. 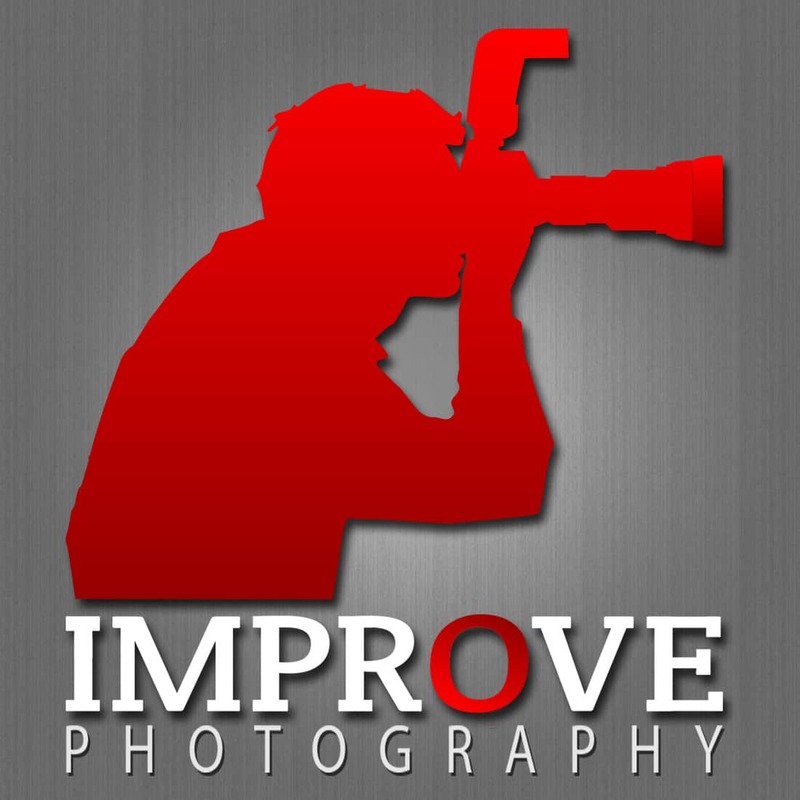 This post is a guest post by a reader of Improve Photography.